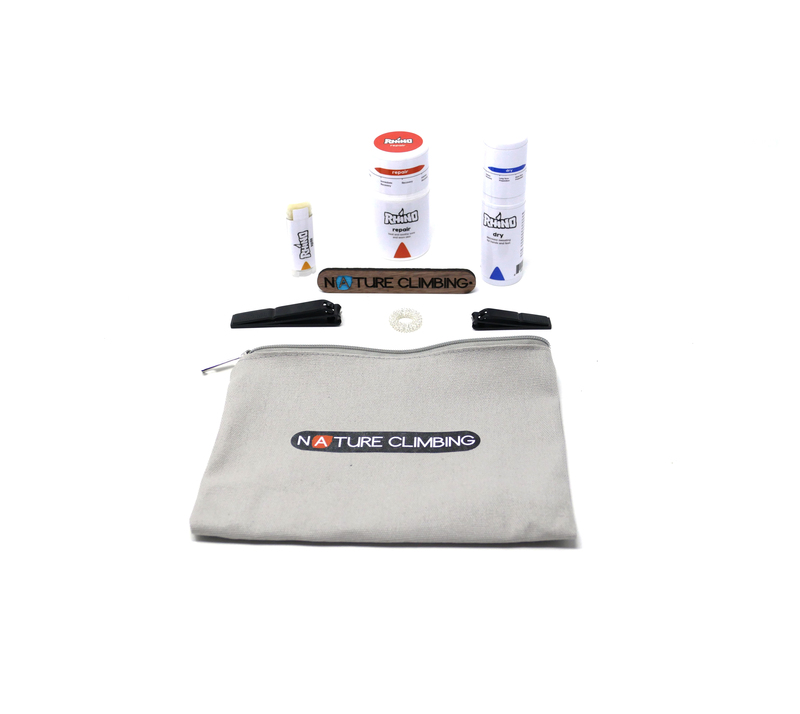 The Nature Climbing Rhino Skin Kits are packed with all you need for quick skin recovery and skin optimization. 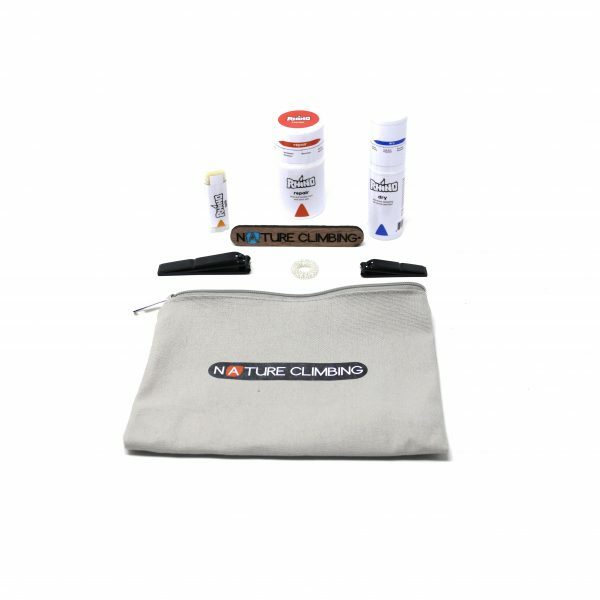 The small kit includes the essentials: Rhino Repair (1.7 oz), Rhino Dry Spray (1.7 oz), Split Stick (0,25 oz), Nature Climbing Walnut Sander, High Quality Nail/Skin Clipper Large, High Quality Nail/Skin Clipper Small, massage ring and comes in a small and practical bag made from recycled canvas. Rhino’s line of products focuses on the largest organ in the body, the skin. We understand what it takes to succeed. Whether it is that extra bit of nutrition, that little extra rest, or a push from a friend or competitor, Rhino will be there to keep you healthy and ready to perform. These products are packed with natural ingredients, some variation in smell and color will occur. There may be some plant matter in the products. This does not change the effectiveness of the product. Now you can give your skin the same care you give the rest of your body. Rhino Skin Solutions has a line up of products to strengthen, build, repair, clean and maintain the best skin environment for your activity. Repair: Non-greasy skin conditioner designed to heal dry, swollen and abused hands and feet. Highlights: Menthol, Magnesium, Salicylic Acid and Tea Tree Oil. Apply liberally after climbing. Spit: Spray-on encapsulated moisture replacement for those with very dry hands. Highlights: Promotes skin elasticity therefore minimizing splits, dry fires, and glassy skin. Apply right before climbing. ​Split: Beeswax based salve designed to disinfect and hold moisture in. Help to speed recovery from small open wounds and avulsions. Highlights: Beeswax, Tea Tree Oil, Vitamin E, Dragon’s Blood. Performance: Skin conditioner plus non-aluminum antiperspirant. Apply Performance the night before climbing. Antiperspirant lasts up to three days with one use. 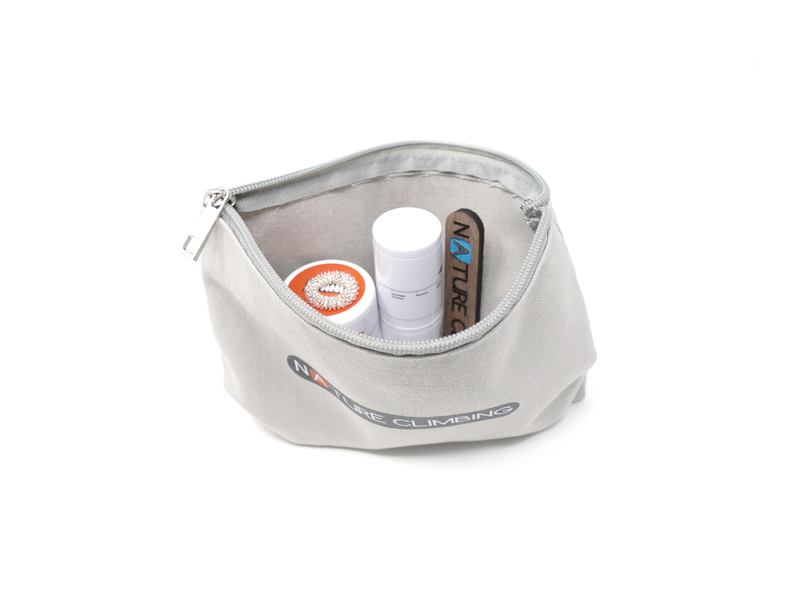 Highlights: Designed to use multiple days in a row to maintain dry durable hands. Dry: Alcohol based, spray-on, non-aluminum antiperspirant. Use up to 2 times per week. Highlight: Easy to use, lasts up to three days with 1 application. 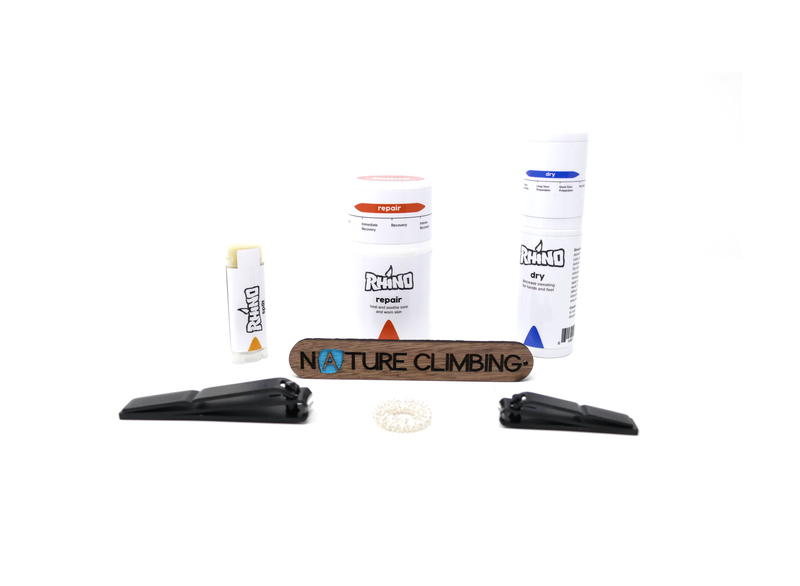 Great for climbers and skiers. 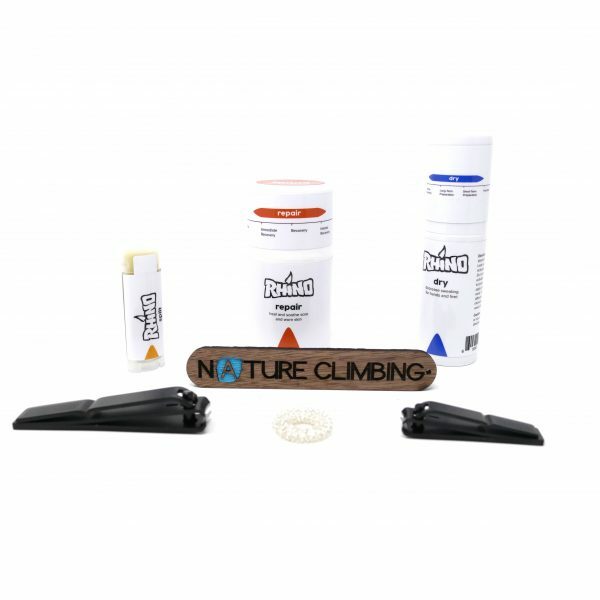 Less sweaty hands for climbers and dryer, warmer hands and feet for skiers. Tip Juice: Rhino’s strongest antiperspirant. Apply only to the pads of your fingers. Apply 1-2 times per week. Highlights:Increases tip durability on sharp crimps. Massage: Plant based muscle and joint massage cream. Recover cream offers a warming sensation to promote blood flow combined with a high slip lotion to promote effective massage. Highlights: Earth grown ingredients, warming, smells great! Everybody’s skin is unique. These instructions are only recommendations. Use caution when applying the tip juice, dry spray and performance cream. Product activates after 8 hours. Over application may cause glassy dry tips. *Claims not approved by the FDA.